Transesophageal echocardiography (TEE) has become an established tool to diagnose cardiac structure and function in patients who are critically ill. Mechanical ventilation, along with postoperative dressings and chest tubes may pose significant technical problems for the acquisition of echocardiographic data from the transthoracic approach. TEE can rapidly provide high quality diagnostic information with only minimal risk to the patient. Furthermore, TEE can be performed at the patient’s bedside, without the need for transporting patients who may be hemodynamically unstable to an imaging laboratory, such as the radiology department . 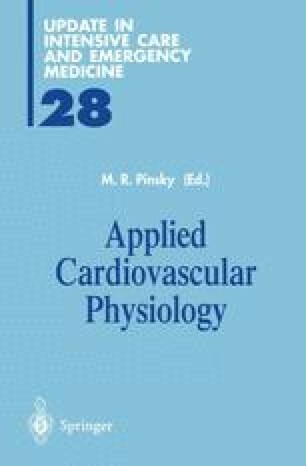 This discussion will review the clinical assessment of cardiovascular physiology using transesophageal echocardiography in the intensive care unit setting and introduce recently developed echocardiographic methods to quantify left ventricular (LV) function which may be applied to the intensive care unit setting.